If you have a business, then you have dabbled in marketing whether you realize it or not. You’ve decided on a name, and you’ve worked to get out the word about your products or services. You’ve also likely considered the times of year that are best for certain promotions and how to deliver a positive overall experience to your customers. These thought exercises and activities are a great place to start, but to ramp up your revenue, you’ll need to dedicate the time, energy, and capital to small business marketing strategies that work. 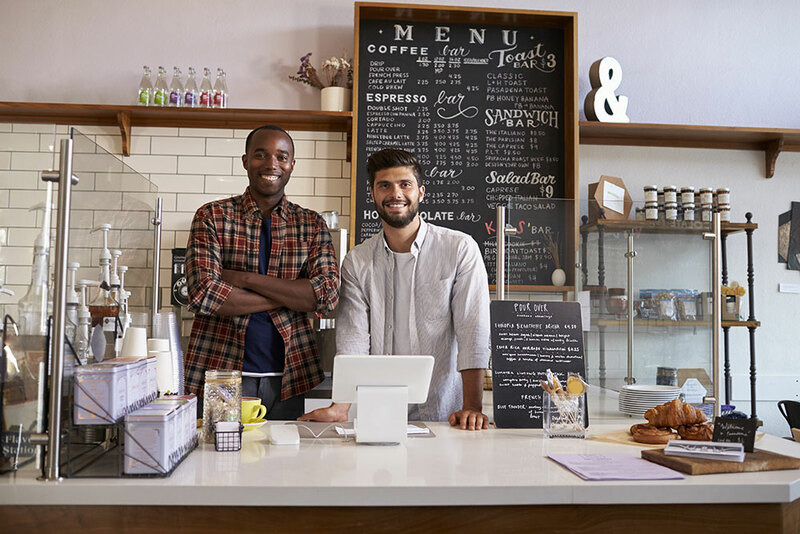 In this post, we’ll cover the basics of local marketing, and offer three avenues that we have seen used to market local small to mid-sized businesses successfully. Local Marketing refers to marketing activities that are designed to target specific geographic areas. Generally, this is aimed at generating foot traffic to a local shop or service provider rather than a regional business or one operating in the digital arena, such as an eCommerce business. There are a large number marketing activities that can fit nicely into your Local Marketing strategy. Almost all of the traditional and digital marketing strategies that make up the bulk of the marketing mix of small to mid-sized businesses can be localized. What works best for your business will depend on the type of business you operate, where you operate it, and your target demographics. Having said that, there are some pretty universally used Local Marketing strategies that we think are a good fit for most small to mid-sized businesses. The first local marketing strategy to put on your list is localized search engine marketing. Most people start their search for products and services online. According to Search Engine Land, 50% of people go to the store or business they searched for within a day of that search. There are two ways to look at this. The first is that Google searches are a great way to attract new customers. The second is that if you’re not showing up in Google searches, then you are missing out on customers who are actively looking for businesses like yours. Either way you look at it, showing up in local searches is an absolute must for your business. There are multiple considerations regarding how you approach your search engine marketing strategy. More specifically, there are three things to consider, the paid search results, the local map results, and the organic results. Note that there are major differences between organic vs. paid search, so considering them separately is important. The first results that you are presented for your search will usually be the paid search results or Google AdWords. These are ads in the form of search results, as indicated by the ad notification. To advertise in this area of search results, you bid on what you are willing to pay each time someone clicks on one of your ads. How high on the page, and how often you show up in the search results is based on your bid relative to the bids of others. See our article on SEO versus AdWords for a more in-depth look at the benefits and drawbacks of each. The local map results usually follow the paid search results. The map results show businesses based on a number of factors including proximity to the location from where that the search was made, the number of reviews a business has, and a whole range of other factors. When it comes to local map results, first things first, tell Google about your business. 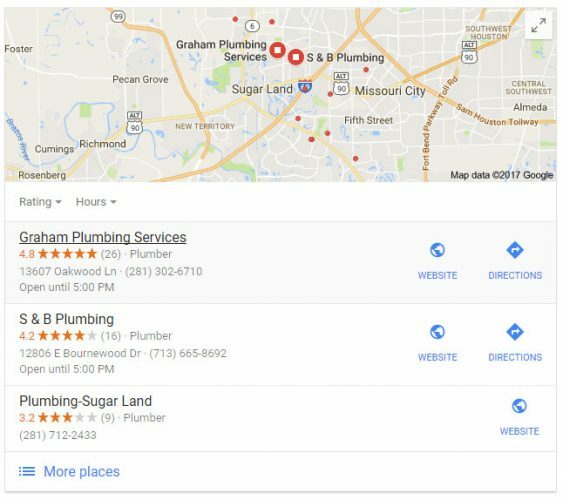 You will need to create a Google Business Listing and confirm that you operate at the address that you list before Google even considers returning you in the map results. Next, you’ll want to create a system for online reputation management. Encouraging good reviews and addressing negative reviews quickly and effectively is the best way to maintain a stellar online reputation and improve your local search engine marketing effectiveness. The rest of the results in Google are what we call “organic” search results. Showing up well organically can be a difficult endeavor, but with the right knowledge, tools, and elbow grease, your local SEO strategy can be a long-term revenue driver for your business. In addition to your efforts to build a local presence on search engines, you should also build a local organic and paid social media strategy. In practice, your social media acts as a line of communication between your fans, followers, customers and you. For most small to mid-sized businesses, social media won’t be their main lead generation tool. It is, however, an important piece of the larger marketing mix. It’s important to recognize the power that social media marketing offers in communicating with not only potential customers but your existing customers. Whether you are reinforcing your brand, responding to feedback, or promoting a sale, social media can be a direct line to very targeted groups of individuals. But while your customers and potential customers are on social media, organically they could see as few as 1 percent of your posts, which means your posts may be less effective than they could be. Google studied the correlation between social media usage and company influence. As it turned out, even if a large number of people follow your social media or click on your website, it doesn’t mean they will visit your business. As a means to remedy this, look at paid social media ads. Your potential audience is exponentially higher; you can focus your ads on people who follow brands and companies similar to yours and target only those who live in your desired geographical area. Finally, if you really want to stretch your local marketing budget and see some tangible results, look at local and industry events. Whether you hold events for a good cause at your store or you donate money so that a non-profit can have an event, your company’s name will be listed and shared several times over for every dollar you spend. In addition to community events, get involved in local industry functions like trade shows. Aside from the obvious potential for new leads that trade shows or industry events offer, you should not underestimate the power of building relationships within your professional community. If you are a local business, make sure your marketing efforts reflect that. You may find that in the end, you lean more towards traditional marketing techniques over digital marketing techniques or vice versa. As with all marketing efforts, knowing who and where your audience is and marketing to them there will lead to the greatest success. You are the most qualified person to manage many aspects of your marketing, like building relationships, but in other areas, you may benefit from finding partners who offer the expertise that you lack in specific areas. Contact us if you are interested in sitting down with one of the experts at our outsourced marketing agency to discuss your local marketing efforts and where you might be able to make improvements.